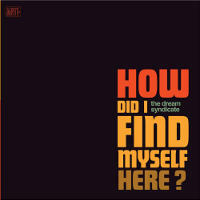 Don't think of this music as a reissue because it's not a lost classic that got ignored the first time around. Despite having been recorded several years ago, it simply was never released outside of the country of Spain (where it was recorded) until now. So, for most of you, these are "new" (to your ears) recordings and should be treated as such. 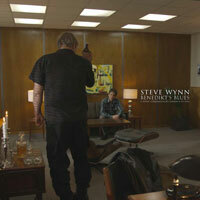 This is the some of the freshest music that Steve Wynn has ever recorded - inspired and challenged by his Spanish collaborator Paco Loco. There's two albums here, the first one was released under the artist & album name of Smack Dab - and consists primarily of Steve, Paco and Steve's long time partner in crime, Linda Pitmon. The second one (pre-dating Smack Dab in recording and original release) is called Australian Blonde featuring Steve Wynn - which is Steve fronting the established Spanish pop/rock band Australian Blonde. Australian Blonde began as a trio in the early 90's. They had a big hit in Spain with a song called "Chup Chup" and were at the forefront of the same indie, grungy, fizzy-pop movement that was all the rage in the US about the same time. Paco wasn't in the band originally (though I think he produced all their records) but he ended up joining the band on guitar to round them out to a quartet. The tour we did together was great and nothing like anything I had done before. Because of all of the interesting arrangements on the album, it was decided that we would have all of the extra tracks played over the PA while we played live as a five-piece combo. [Sort of like The Who's first tour of Quadrophenia with tapes of horns, keyboards, etc.] This meant that the drummer Paco Martinez had to listen on headphones to a click-track and the extra instrumentation while we played along to his beat. Linda's backing vocals (from the original recordings) were piped in over the PA every night. I first met Paco back in 1998. I had a show booked in the area where he and his wife Muni were living down in Andalucia. The owner of my Spanish label had been the drummer in Australian Blonde with Paco and knew that he was a fan so he arranged for the band to drop by their pad. At the time he spoke much less English than he does now. And my Spanish wasn't as good as it is now. So, most of what I could tell was that he was kind, knew about my music and, most of all, was fascinating and eccentric. I've gotten to know him quite well over the years but I can still say that there is nobody in the world who is quite like Paco Loco. He is a legendary producer in Spain and despite the many records he's made and his many accolades, he still approaches every session with the fervor, curiosity, playfulness and unpredictability of someone who is just starting out or, more likely, just never bothered to learn the rules. In other words, I knew I had met a kindred spirit from the start. Their first collaboration was done virtually rather than physically in the same room; in fact the whole Australian Blonde featuring Steve Wynn album was recorded that way. A few years after first meeting Paco, I was doing a song-of-the-month series for Emusic and wanted to collaborate with different people for each installment. It seemed like a good time to see how Paco and I could work together. I asked him to send me a track. Now, in today's world this all could happen easily by email--a song could be sent and the volleys could go back and forth by the hour. But in 2000 when we first worked together, Paco sent me an ADAT 8-track tape by mail, I wrote lyrics to the song that became "The Last One Standing," mailed the tape back to him and then he stripped away everything but my voice, re-tracked the entire song with Australian Blonde and then mixed it down. A very strange way to collaborate but it's the way we ended up doing the whole record. I didn't even meet the guys in the band until the record was released and we were in rehearsals to tour and promote the record. It ended up doing quite well in Spain and the tour was great. 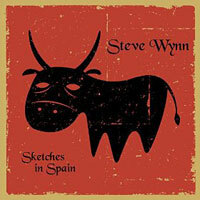 The success of the Australian Blonde featuring Steve Wynn tour on Spanish soil, led to Smack Dab. So, about four years later, Paco was starting a label and had the idea that Linda and I could come to his studio and where he and his wife Muni live in Puerto De Santa Maria for some kind of mixture of a vacation and possibly writing a couple of songs for a single. But, as often happens, we got so excited and swept up in the collaboration and the week of limitless studio time that we ended up constantly writing and having fun in the studio. We'd wake up in the morning, somebody would have a musical fragment (Paco's impressionistic broken beauty that became "Free Love," Linda's meditative piano figuring that became "Lavender Foam") and I would come up with words (though Linda wrote the lyrics for "Smack Dab.") Every song had it's own character (kind of a hallmark of the 3 records I've made with Paco--there is never one SOUND to anything we do together) and we built each track in different ways. I particularly love Linda's percussion overdubs on "Kickstart My Jackknife." And on "Lavender Foam," that's Paco on drums while Linda plays piano. Anyway, we were really excited with the session and it came out in 2006. Once again the response was great, once again it was limited to Spain. So, I'm happy that these collaborations are seeing the light of day. They're unlike anything I've done before or since (outside of my latest collaboration with Paco). And they delight and surprise me - and that's always a good thing.